Two years ago next week, I married my fantastic husband. 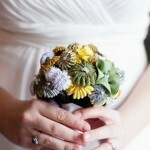 Planning my wedding was the process that led me to launching this site and feeling like my creations were good enough to share with the world. I mean, I also got married to a truly incredible person as a result, so there’s that too! The biggest thing I learned from my own David Tutera Bridal Collection, I told myself I wanted it to be fun. A DIY snack bar is an easy project for brides-to-be at any skill level to infuse their celebrations with a little bit of handmade flair. 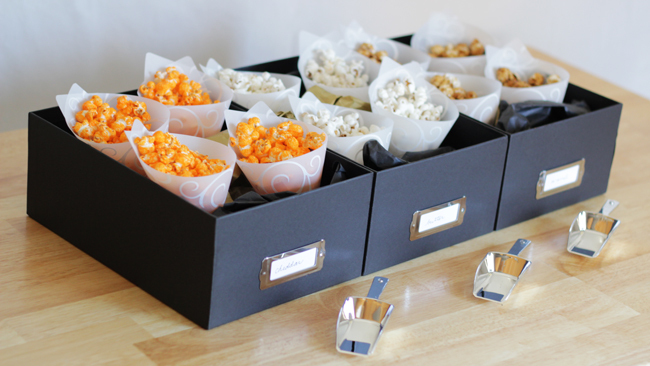 And btw, you can totally make a popcorn bar like this for any party, not just a wedding. The item that immediately caught my attention in the Tutera collection was his vellum lampshades designed to be placed on a wine glass with a tea light inside, creating small lamps. Instead of using these as lampshades, I thought it would be cool to flip them over for use as serving cones for a popcorn bar. 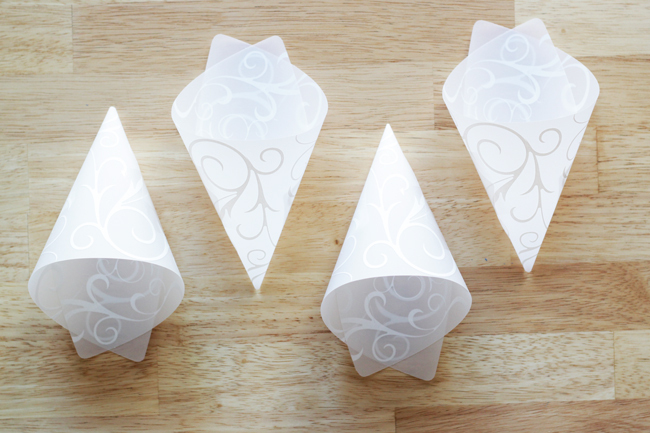 You can buy ready-made paper cones, but they’re not necessarily aesthetically appropriate for a wedding or fancier shindig. Begin by cutting the ends of each vellum shade as shown. 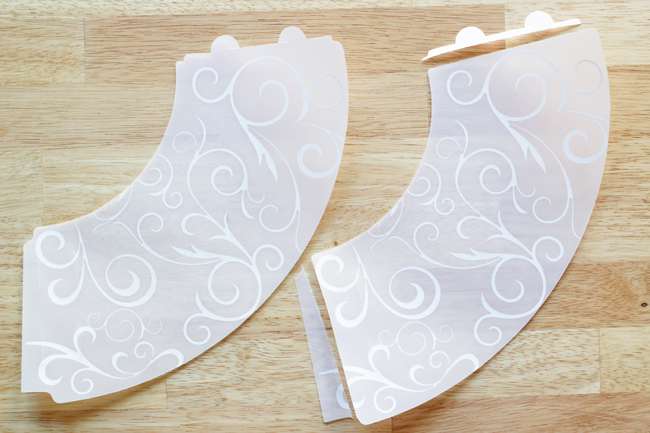 You’re cutting off the notches that would have slid together to form the shade in order to make it easily slide into a cone shape. Wrap each shade into a cone. Take a look at the animation below to see the best way to tighten up the tip of the cone so it comes to a nice point. 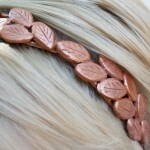 Secure with a small strip of packing tape. Make note of how much overlap there is on each of your shades. Try to make each cone approximately the same so they have a uniform look in addition to holding the same amount of food. 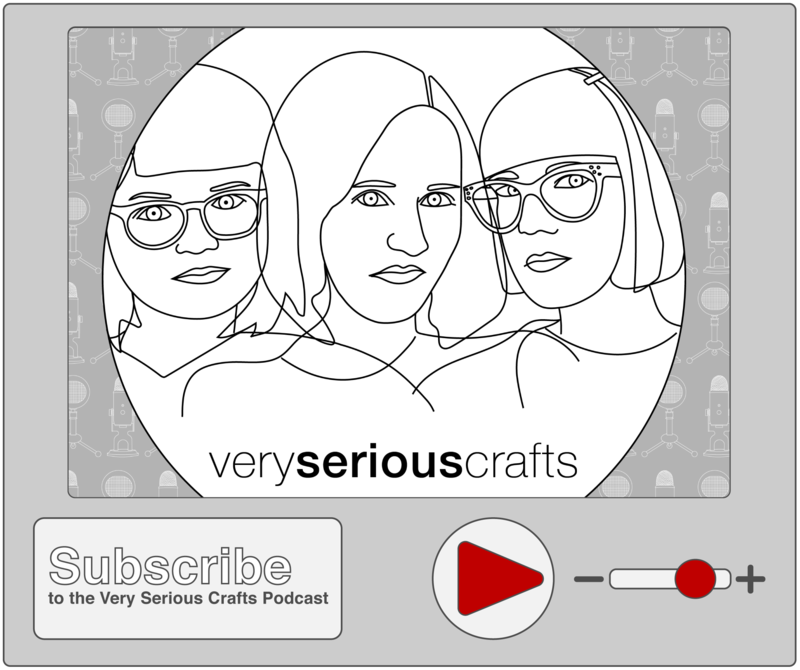 Create a label for each of your storage boxes by cutting some cardstock to a size that will fit in each box’s label space. 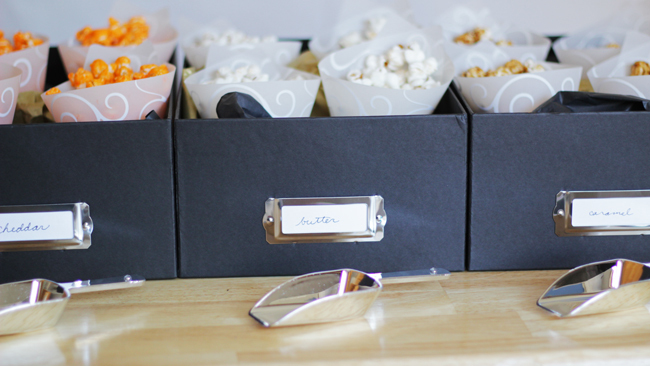 Label each box to indicate what popcorn flavors are in each box and slide the labels into place. These boxes are designed so the labels won’t slide out. Next, place three large, rumpled pieces of tissue paper in each storage box and arrange your cones in between each piece of tissue paper. 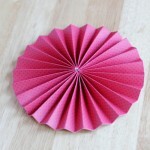 If your cones are tippy, add more rumpled tissue paper to the boxes for extra support. 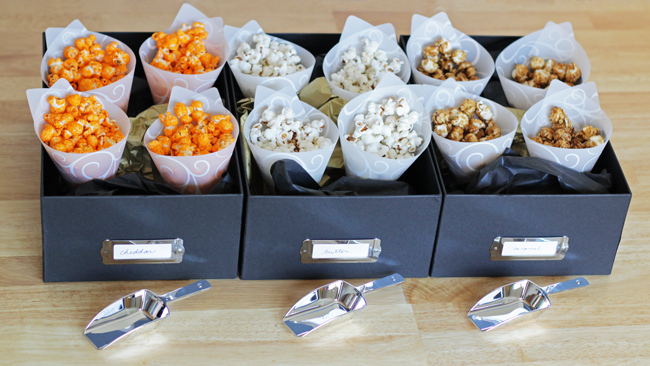 When you know your cones won’t tip over, fill each with popcorn and arrange them in each box to serve. Keep some of the candy scoops next to each popcorn flavor and, if you want an option for refills at your popcorn bar, incorporate large bowls of extra popcorn with your bar so guests may get more snacks or mix and match flavors as they wish. Being a Chicago gal, I’m kinda partial to mixing cheddar and caramel popcorn, a.k.a. Chicago Mix popcorn, for a savory and sweet treat. 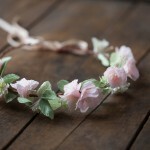 Previous Post: « Blue Buddha Boutique Giveaway!